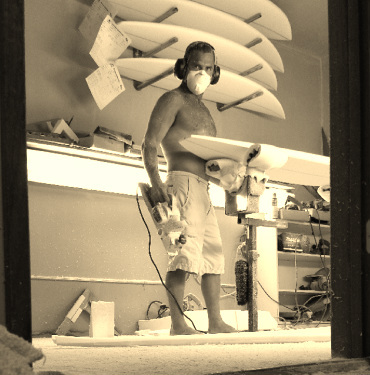 I put my heart and soul into my name and brand…..
For over 25 years, Kazuma Surfboards has been manufacturing custom surfboards for the best surfers in the world. Our 10 expert craftsmen have over 135 years of combined board building experience and are the best in the business. 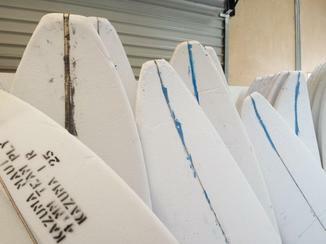 In the last 25 years we have manufactured over 34,000 surfboards so we know how to do things right. 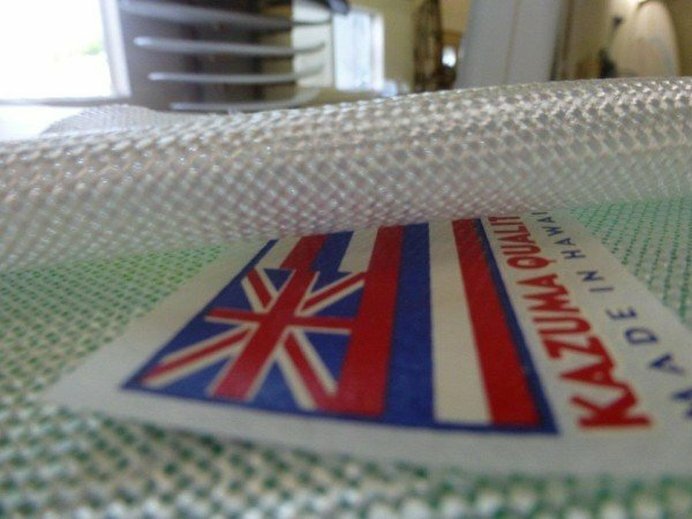 The Kazuma Factory and showroom in Haiku Maui is a very special, one of a kind place and is the central manufacturing facility of Kazuma Hawaii. Matt wanted a place where his customers could watch their surfboard being made, a place that is ok to touch and feel all the different boards, a place to see true master craftsmen making surfboards and a place to educate you and to experience the way surf shops used to be. Matt wants everyone who visits the shop to feel comfortable and to never feel pressured to buy anything. The Kazuma showroom is not a clothing store or place that pushes a sale, all we have are surfboards and the accessories needed to get you in the water. Owner and shaper Matt Kazuma Kinoshita was born and raised in Hawaii and has been surfing for more than 30 years. Matt was once a top level professional surfer and even the United States Surfing Champion. From one foot to 40 feet, Matt is still a standout in the lineup. Over the last 20 years, Matt has been passing all his knowledge to the kids and his Kazuma coaching program has already produced several generations of champions. From Dusty Payne to Ian Walsh, the list of superstars from the Kazuma program is second to none. Matt learned the art of surfboard shaping from the legendary Master Ben Aipa. “Ben Aipa was my surfing coach and shaping mentor and I was lucky to have studied under sensei Aipa, the person that I consider the greatest shaper of all time”.You can find Matt on Sunday all alone in my factory experimenting with some new epoxy that is supposedly stronger and will yellow less than anything on the market. Testing new products and materials is one of the things that drives me to work so hard. Bringing my customers the best boards that money can buy is my goal.